Now I have seen my share of Switch accessories, but if your like me the amount of choices can be quite daunting and actually purchasing some can prove difficult. 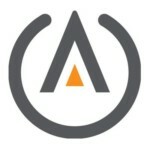 That’s why we have chosen to team up with some great companies to show off some of their best stuff. PowerA was a logical stepping stone into this foray and I can tell you right off the bat that they make some fantastic products. 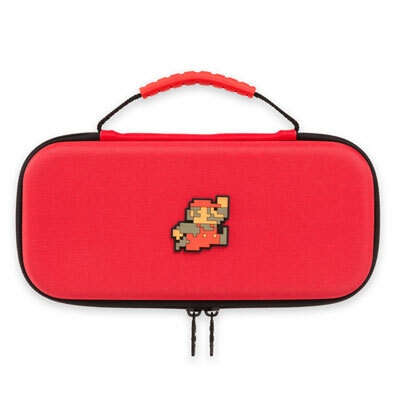 Up first is this lovely 8-Bit Super Mario Brothers Themed Protection kit from PowerA! 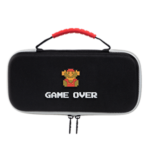 Coming with a sturdy hard shell case, Screen protector with applicator and a cleaning cloth all themed around our favorite plumber its your one stop shop for all the protection you need if your just picking up a switch! 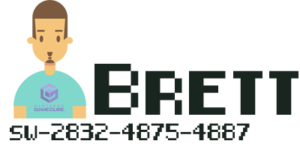 Or if you already own a Switch and dont really need a new screen protector don’t worry, it pretty much comes with all the extras at no additional cost! 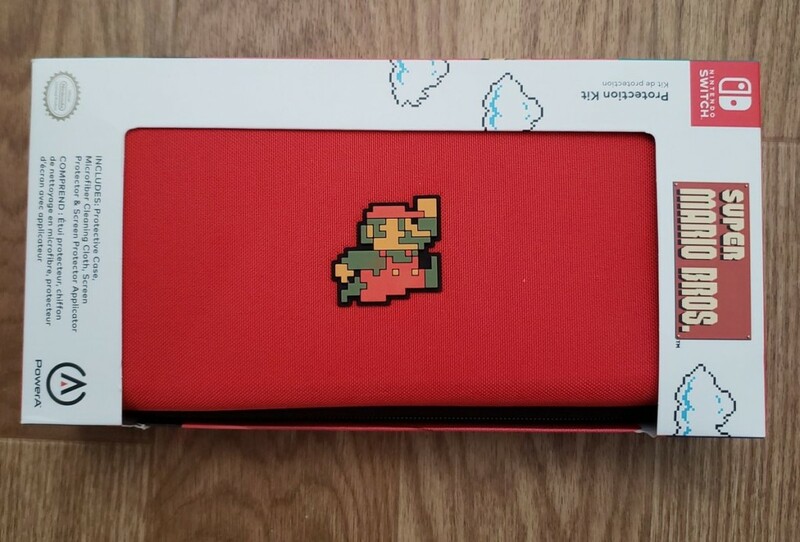 The outside of the case is emblazoned with a raised rubber 8-Bit Mario emblem in the center, the handle is fabric with a sturdy rubber covering that i assume is for comfort but makes it pop even more if that’s not the case. 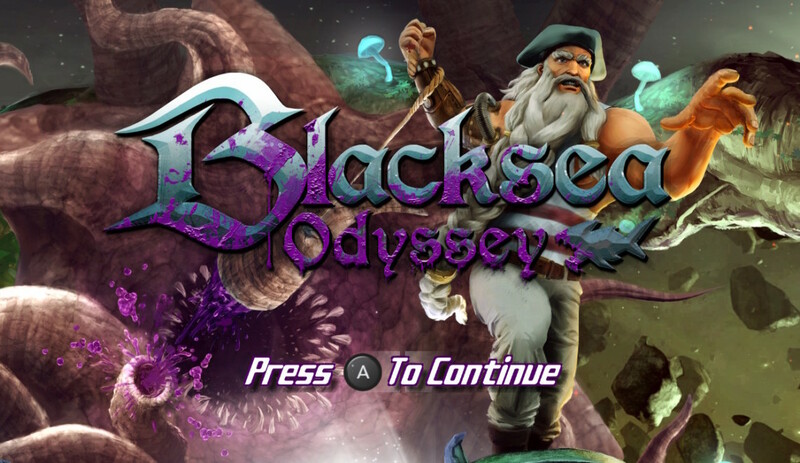 The black zipper pulls are little mini joycons and could not possibly be more cute. On the inside what we get is a molded pocket the fits the console perfectly and a felt padded cover that Velcros shut. On the opposite side of the covering is storage slots that can fit up to 9 game cards. 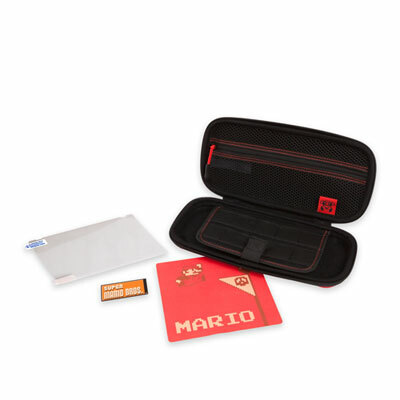 On the other side of the case we have an incredibly soft zippered pocket with a nice little Mario tag on it. Inside this pocket is where you’ll find your screen protector and Mario themed cleaning cloth. Everything is black and red and looking mighty stylish and on top of looking great everything about the case is sewn and crafted to perfection. One of my three full time jobs is a ride share driver, which allows my to take my Switch with me everywhere i go, so naturally a good case is needed. 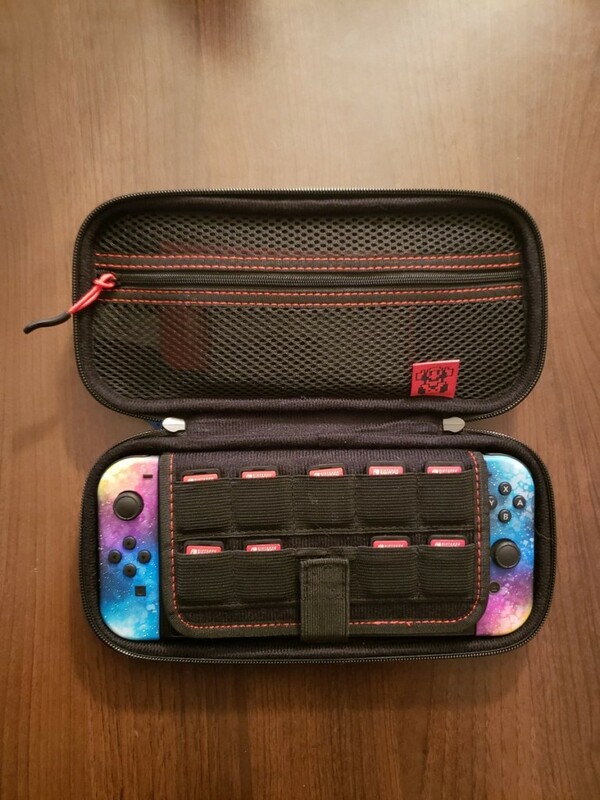 The PowerA hard shell case performed wonderfully on the go and kept my Switch safe and secure in the car and i felt fine letting my passengers who were on longer rides try it out. The mesh storage pocket may not be able to hold a whole ton but it sure can hold my 24 game card storage case, which was nice to have with me and all in one place. While the groove in the case does allow for you to play it while it rests in the case one false move and your switch could be on the ground. I would recommend always being careful while holding your switch this way because accidents do happen and maybe don’t play standing over concrete and for goodness sake use the provided screen protector. I can say however that as long as you have this bad boy zipped up a couple drops it can withstand. 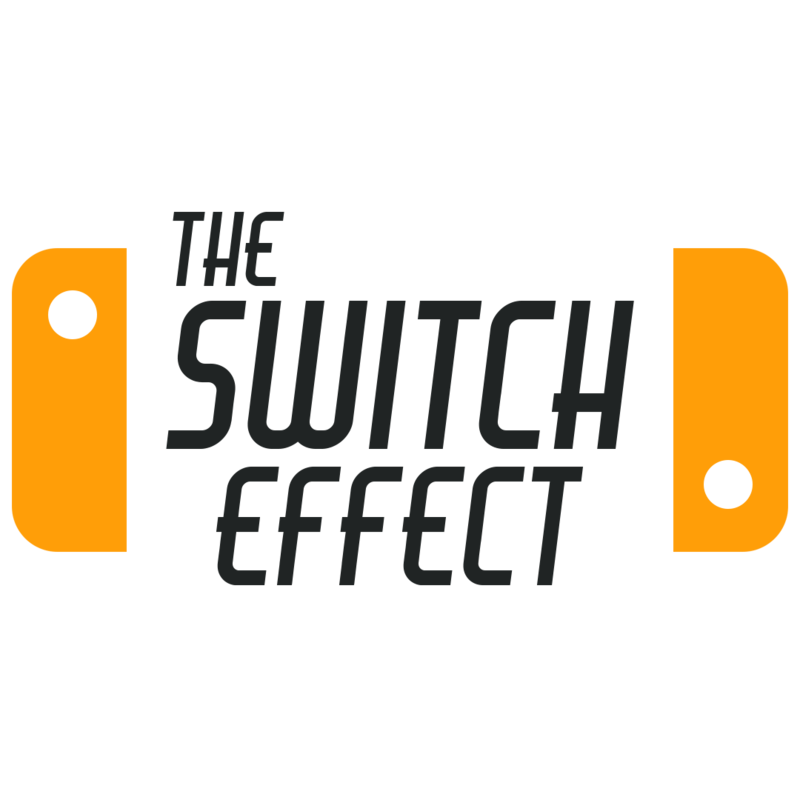 On more than one occasion i got out of my car with my Switch resting next to me and as i got out the whole thing took a tumble. If it wasnt in the case there would have been some scuffs at the very least and i sure would have been angry. Thanks to my stylish case however all is right in the world. The PowerA protection kit both looks great and works great. It can withstand some small drops and will protect from slight moisture. It costs as much as similar cases and comes with the extra screen protector and deliciously retro cleaning cloth. 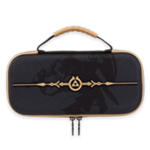 All in all if you need a hard shell case this is one of the best choices you can make. 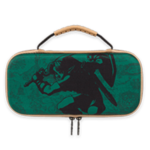 It’s also available in a great zelda variation and two more styles available as gamestop and target exclusives. 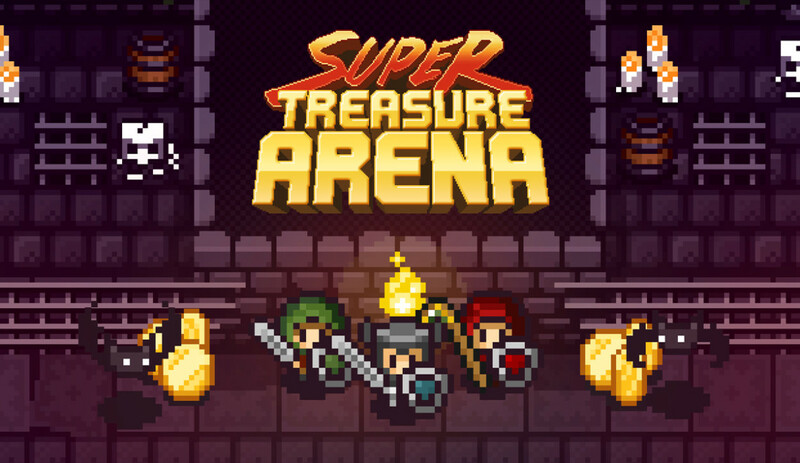 Click the pics to buy the case!